Why was Sweet/Vicious cancelled? Recently, MTV chief Chris McCarthy spoke with The Hollywood Reporter about ending the freshman TV series. 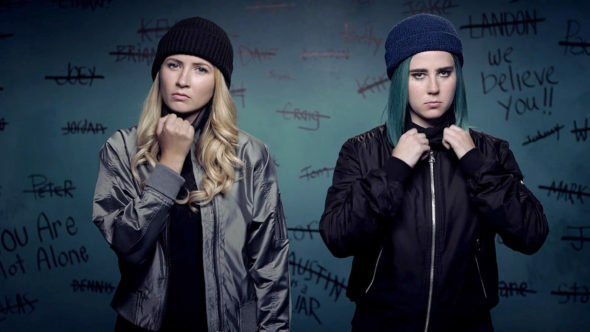 The low-rated dark comedy revolved around two female college students who secretly act as wannabe vigilantes. The cast included Eliza Bennett, Taylor Dearden, Nick Fink, Dylan McTee, Brandon Mychal Smith, and Aisha Dee. What do you think? Did you see Sweet/Vicious? Do you wish MTV had renewed the TV show? Dark Comedy, coulda fooled me this wasn’t a Pro-Antifa Leftist Shitshow.